St. Patrick's Day is such a fun holiday, and it can be even more fun when you can save money with these St. Patrick's Day freebies. There's something from everyone here from the kids all the way up to the adults. Just because you're on a budget, doesn't mean that you have to miss out celebrating this fun springtime holiday. Look below to find free St. Patrick's Day greeting cards, coloring pages, printable decorations, computer wallpapers, clip art, word search puzzles, and educational worksheets. I have more freebies that are great for this time of year including spring freebies and free stuff for Easter. The kids are going to love this St. Patrick's Day freebie! There are hundreds of free, printable coloring pages here that feature leprechauns, shamrocks, rainbows, and everything else that has to do with St. Patrick's Day. Print off one or print off enough to make a whole custom coloring book just for your child. Do something different this year and decorate for St. Patrick's Day. There's no excuse since you can do it for free! There is subway art, banners, posters, and more here. All of the decorations here are free for you to print and use. Wish everyone you know a Happy St. Patrick's Day with these printable cards that won't cost you anything but a stamp. These cards will bring a smile to anyone's face who see's them with their print green four-leaf clovers and wishes for a happy St. Patrick's Day. These cards are just so cute, and I'm sure the grandkids or anyone else would love to get one in the mail. Don't leave your computer out of the mix on St. Patrick's Day - adorn it with one of these free computer wallpapers. There's a nice mix of background here that include four-leaf clovers and rainbows as well as some beautiful photos of Ireland. They are all so cute; you can are going to have a tough time choosing which one to use. If you are working on a printed or online St. Patrick's Day project this year then you are going to want to check out this list of free St. Patrick's Day clip art. There are hundreds of images here of leprechauns, pots of gold, shamrocks, and images from Ireland and they are all free to download and use on personal projects. Kids and adults will both like this free St. Patrick's Day word search puzzles that you can print or complete online. There are a ton of puzzles to choose from, and I have them arranged by skill level, so it's easy to find just what you're looking for. There are also a group of online word searches here that will save you time and printer ink. 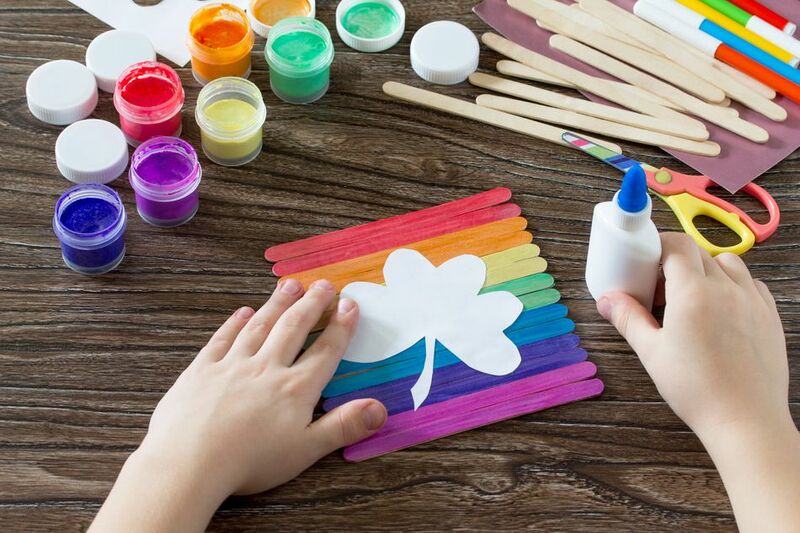 Make learning fun for this time of year with these free St. Patrick's Day worksheets. There's a great mixture of reading, math, and writing worksheets here all themed on St. Patrick's Day. Whether you have a little one learning to count or an older child working on writing, you'll find some fun worksheets here that they'll love. You can find a free St. Patrick's Day scavenger hunt over at Teepee Girl that will be fun for the whole family. This free printable set comes with 8 clue cards and a free matching treat topper that will fit on top of any size zipper baggie.